Scientists have cultivated a new field that investigates the connection between our rhythms and therapies. Alas, chronotherapy was born! You would think that with the centuries worth of human experimentation with pharmaceuticals and with the existence of biological rhythms being as old as time itself, society would have spent more time investigating the latter. But the idea that the entirety of our physiology is subject to regulation by three main biological rhythms still isn’t common knowledge. The three rhythms, classified based on their length of oscillation, are the ultradian (less than 8 hours), the circadian (about 24 hours) and the infradian (over 24 hours). The ultradian and circadian are still somewhat of a mystery to us, with most of the research focusing on circadian rhythms, but the infradian rhythm is not uncommon to us as it regulates a cycle that is the epitome of life itself: the menstrual cycle. When the oral contraceptive pill was invented, it first required the knowledge of the circadian hormonal rhythms that regulate the menstrual cycle, and the infradian rhythm that regulates the ovulatory cycle. Next, scientists applied this knowledge to the use of pharmaceuticals to target our rhythms and to trick the body into a pattern that it normally would not adopt. This same idea is now being employed by researchers across various fields of study in human and veterinary medicine. If we can learn the intricacies of biological rhythms, we can better create therapies and administer them at a time when they would be most effective. With all the chronobiology research focusing on circadian rhythms and their implication in all aspects of physiology, scientists have cultivated a new field that investigates the connection between our rhythms and therapies. Alas, chronotherapy was born! 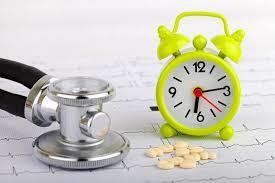 The advantages of the field of chronotherapy are endless. 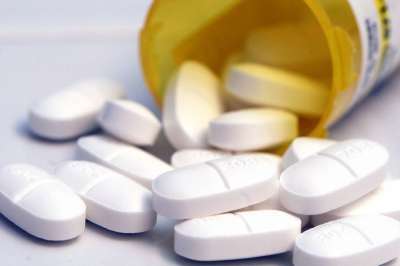 If we can properly time our use of drugs to follow the circadian rhythms of disease, we are able to increase the efficacy and effectiveness of common pharmaceuticals, while decreasing toxic side effects. For example, the knowledge that our blood pressure increases during wakefulness and decreases at sleep time is common. However, taking it one step further, we find that patients with chronically high blood pressure do not follow the same rhythm: it stays at a constant high throughout the day which weakens their heart and blood vessels and progresses to heart failure. The preferred treatment for these patients is ACE inhibitors which are a class of drugs that work to decrease blood pressure. Patients are usually instructed to use them during the day, however, a study by Martino et al. found that administering the ACE inhibitor, captopril, is significantly more effective at sleep-time than at wake-time in hypertensive models. It is thus intuitive to say that the reason lies with the circadian system. When administered at night, this drug causes a dip in blood pressure that is seen in our normal circadian rhythms and can help to restore the rhythmicity of blood pressure in patients with hypertension. Though revolutionary, the benefits of timed therapy do not end with the human cardiovascular system. Contrary to popular belief, canine species are not unlike humans in the sense that they too are subject to biological rhythms and cardiovascular pathologies. Dilated cardiomyopathy is one of the most common forms of heart disease in dogs. It is characterized by an enlargement of the heart which leads to weak contraction. The ability of the heart to pump blood to the rest of the body becomes impaired which causes blood to back up into the veins and fluid to accumulate in the lungs, eventually causing heart failure. 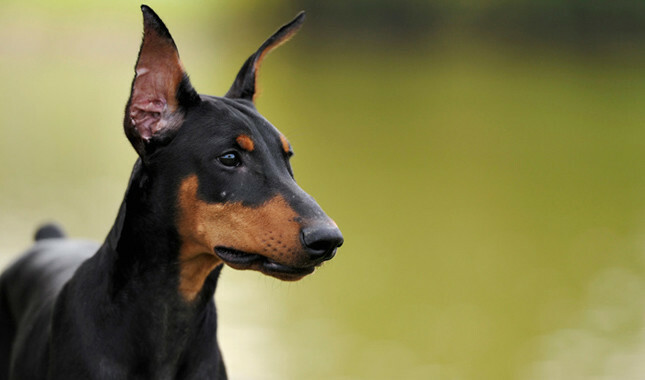 It affects many large-breed dogs, with the most frequently affected being Doberman Pinschers. One of the main goals of treatment for this condition is to improve heart function and slow the progression to heart failure. Veterinarians commonly prescribe ACE inhibitors which, as discussed earlier, have a peak time of effectiveness in heart disease models. Thus, considering the timing aspect of this drug might be beneficial to animals with heart disease. Although there is still a lot of work required on the research end, it has become increasingly obvious that the timing of therapies has important benefits for both veterinary and human medicine and is a new and exciting field for researchers. Clinicians and research should collaborate to further the field of chronotherapy and create more effective therapeutic interventions.